Recent information, articles, and news about geothermal will be here. Our jobs are frequently mentioned in articles and we will try to keep them updated here. 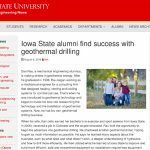 Dan Rau, PE, has been involved in the geothermal industry since late 1999, when he first began his adventure into the field. Click to go to article. 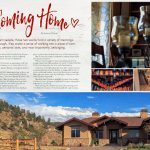 A clients home we installed geothermal in is featured in this months issue of STYLE. 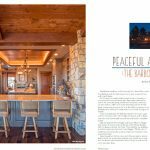 The article, Peaceful and Serene: The Barbour Ranch is on page 70 of the May issue.